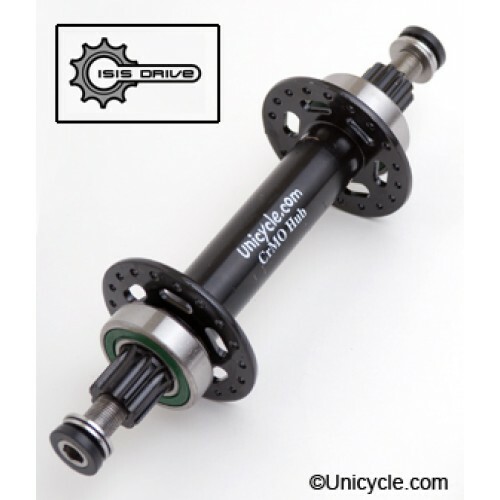 Built to be more robust and durable than the traditional cotterless, or non-ISIS splined hubs. Compatible with 2007-2008 36-hole rims featured on the Nimbus 36-inch Cycles. Note: Hub only compatible with Nimbus 36-inch 2008 Cranberry ISIS (42mm) frame. Efficiency starts at the heart of the unicycle. That's why it's crucial the cranks and hub are capab..